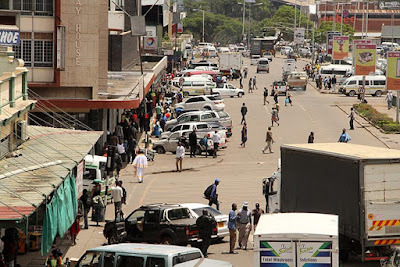 The mayhem that characterised Harare’s Central Business District (CBD) and its feeder roads for the better part of yesterday could have been avoided with proper planning and pre-launch drills. While we appreciate the need to de-congest the city and keep it decent, yesterday’s banning of commuter omnibuses from entering the CDB saw them dropping passengers quite some distance from their destinations. A lot of productive time and energy was lost as visibly frustrated commuters walked into town. The implementation was done badly. The bigger buses that were supposed to then ferry them into town remained parked as the commuters could not fork out extra fares. Most people usually come to work with just enough money for their trip to and from work, particularly at this time of the month when most coffers have run dry. Therefore, asking them to pay an extra charge was too much to ask for. The timing was also very bad. Commuters were really miffed and it would not be surprising to hear of damages to property in some parts of the city as rumoured late afternoon yesterday. The launch of the new plan needed to have been thoroughly thought out and implemented in a manner that could have avoided causing so much chaos. We do anticipate teething problems in most instances where new systems are introduced, but this one turned into a real disaster. One that we do not need at this juncture when we expect all hands on deck to drive the economy forward. The idea to free the city of the commuter omnibuses that have become death traps in some instances, causing numerous accidents and loss of lives is quite noble and most welcome, but it is how this was done yesterday that left many wondering whether they were coming or going. New policies do not necessarily need to be populist all the time if they are for the good of our country given that people naturally resist new things, even those that are good for them in the medium-to-long term. But we should not foist them in a manner that creates more disorder than was originally there. Soft landing is always advisable, lest the plane catches fire. It is in this regard that we applaud the Minister of Local Government, Public Works and National Housing July Moyo, who moved in to reverse the new system until better implementation strategies are identified. This is the best way going forward. The commuters spent the better part of the day cursing the city fathers, the Government and its leadership for the “evil” that had visited them. We want to believe the journey back home after work was smoother. Harare needs a decent and efficient public transport system to ferry thousands of commuters from its suburbs into the CDB and industrial areas. We will not fault the City of Harare for making this observation, albeit too late. The advent of commuter omnibuses has polluted the CBD by previously unimaginable proportions. It is not uncommon for these to rank anywhere within the city, even in the middle of the road. Such roads as Julius Nyerere, Robert Mugabe, Mbuya Nehanda and Leopold Takawira often operate as one-lane roads, particularly in late afternoon and evenings. Motorists have found these roads impassable, while the war for passengers have seen the kombi drivers disregarding traffic rules and city by-laws flagrantly. This has caused chaos and loss of lives. Commuters are also harassed and dragged into certain kombis, when it should be their right to choose which kombi they prefer. This has happened for a long time under the City of Harare’s watch, in some cases just a few metres from Town House, the city headquarters. But the desire to bring a change overtook their need to prepare adequately, hence the commotion yesterday. But we hope better planning and implementation strategies will be demonstrated when they re-launch. Harare has endured the encroachment of the kombis and of vendors for too long. But these sensitive issues need careful handling, particularly in instances where formal employment is hard to come by. People have resorted to doing anything that brings food to the table. The fights by touts as they jostle to fill a kombi and earn a commission paints a very sad picture, while a vendor roasting maize at the centre of the CBD is almost unthinkable, but economic challenges have pushed many to engage in such jobs so their families can survive. It is under these circumstances that plans to formalise or regulate such engagements should handled with caution, lest a bigger problem arises.